On 27th March our clocks go forward and we lose an hour. As if it wasn’t enough that we have so much to juggle in our busy lives – work, family, friends, hobbies, relaxing, getting fit – without losing a precious hour! In my work, I use several techniques to help clear the mind of anxiety and create focus. If you would like to know more feel free to contact me for a chat. Here I share with you just some of the many anxiety management tips I use with my corporate clients, helping top executives to create a healthy work/life balance. 1. Write a To Do list and Prioritise. What could be done tomorrow or next week instead? Does this need to be done at all? Often we’re so busy trying to do as much as possible we misuse our time and our energy, creating anxiety in the process. Everyday take a few minutes to focus on what is most important for you to achieve. Without focus it can be easy to spend your time and energy on pointless tasks when you could be working on something else. Ask yourself is it vital that you attend the mid morning meeting or would your time be better off calling a business contact or finishing some research for the report due on Monday. Is it absolutely necessary to post that letter or visit the dry cleaners during your lunch break today? Could you possibly combine these jobs when you visit your bank on Friday? Would it be more beneficial to spend your lunch break today taking a walk or arranging that long put off dental appointment. Take some time to think about things/people that distract you from getting your work done and then take action. 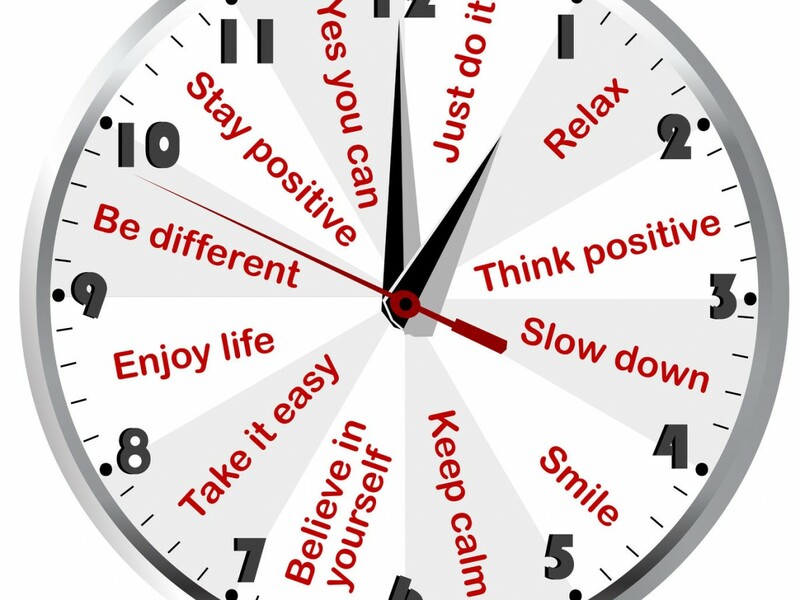 By putting some of these into action you will be surprised at how much time you can recoup. Use this time to relax, play a family game or to get out in the fresh air. We are open to so many distractions that I have divided them into 2 areas – work and home. Put your phone onto silent mode and only agree to look at it between certain hours. Check your emails in blocks of time rather than throughout your day. Set this time aside to read, reply or delete as appropriate. Make sure all social media is turned off on your pc – it can be all too easy to check facebook/linkedIn everytime you see a notification. Allow yourself time later in the day to do this. Be focussed when surfing the net. Googling various topics can be a time waster. You know how it goes… you decide to look some information up only to find you’re distracted by other sites. Before you know it you have spent 2 hours on google without getting any of the information you set out to find. Stand at meetings and whilst on the phone. This has been proven to increase focus and productivity. Organise an agenda for your meeting – and stick to it. Don’t allow yourself to be distracted by small talk or addressing issues not on the agenda. Make a To Do list as above and prioritise the tasks. If you take work home, set an agreed time to undertake it away from the main household rooms. With your work completed you can re-join your family and spend quality time with them. Keep distracting phone calls to a minimum. If a friend is moaning on about the same old thing keep the call to an agreed time. Do you take on too much, expecting a lot of yourself, creating anxiety? Look at areas in your life where you can delegate some tasks. Perhaps ask a member of your team to sort through emails and unsubscribe from distracting newsletters. Could someone organise your filing system to make life easier for you? It may take some time to show them what is required but in the long term will save you time and energy. Get everyone involved in household tasks – even the smallest jobs like taking the rubbish out or dusting can be given to a younger member of the family. By writing a list in the kitchen of who is responsible for what, you can create a sense of ownership and achievement for family members. Remember to praise when they do the task! Where your thoughts go – energy flows. So use your time to create your future. Remember we all have the same 24 hours in the day – use yours wisely. Do you find you spend hours surfing the internet aimlessly? Is a large chunk of your time spent on forums that don’t actually benefit you? Perhaps choose between reading Hello magazine (unless it’s going to benefit you) and a trade publication or self help book. Rather than eating mindlessly in the evenings could your time be better spent doing some research on healthy recipes or writing a shopping list of ingredients you will need to create juices and smoothies. Find out about evening classes or use Youtube to find out how to do something you’ve always wanted to do rather than watching another tv game show. If time is more valuable than money for you then maybe consider hiring a cleaner or gardener to free up your valuable time. Ask yourself what it is you want to achieve today or this week. Once you are aware of where you waste time or how you would be better spending your time, make some effort to change your habits. By combining tasks you create more time for you. It also makes change more sustainable if you don’t have to set specific time aside, for example to go to the gym. Think about what you would like to do but rarely, if at all, find time to do. Do you feel you don’t have time to set aside to relax? Mindfulness is hugely beneficial and you don’t need to sit quietly to benefit from it. Try practising mindfulness whilst walking the dog – when you’re walking notice the sounds and smells around you. Notice the temperature of the air and the feel of the earth beneath your shoes. If you travel to work by train use your travel time to read a good book or listen to a podcast or inspiring Ted Talk. You can also use this time to do some self hypnosis (an excellent skill I teach everyone I work with). If weight loss is your aim do some sit ups in the ad break of your favourite tv programme, polish your mirrors whilst on the phone or do some squats whilst waiting for the kettle to boil.